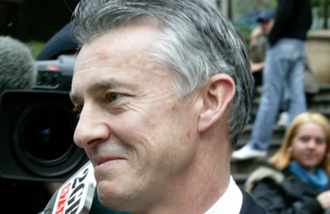 Australian Justice Fagan, while jailing two jihad terrorists, exhorted Muslims to work for reform. 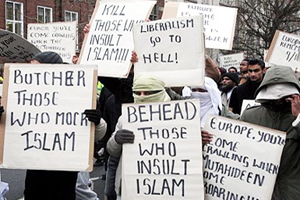 The incitements to violence which terrorists quote from the Koran cannot just be ignored by the many believers who desire harmonious coexistence. Those verses are not ignored by terrorists. Unfortunately, the reporter or reporters present apparently didn’t have the wit, interest, or standards to ask him which ones those were. There are many, many more than two verses that call upon Muslims to fight unbelievers, whether preemptively or not. Here are some of them below. Note that Qur’an 8:39 calls on Muslims to wage perpetual war against non-Muslims until they become Muslim or, as per Qur’an 9:29, submit to Islamic hegemony. But not to worry. Non-Muslim English speakers are taking these verses out of context, you see. Silma Ihram, president of the Australian Muslim Women’s Association, “said that when the Koran is translated from Arabic to English, ‘meaning and context is lost’”: The English translation does not convey the depths of meaning that the Koran actually holds for those relevant verses. 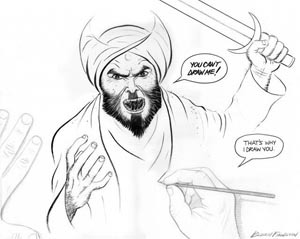 There are very few verses in the Koran that can be twisted for violent purposes, there are a lot more in other scriptures. That is why we are working as much as we can to educate Muslims on interpreting the Koran. If there are “a lot more” verses in other scriptures “that can be twisted for violent purposes” than there are in the Qur’an, why have there been 34,516 violent jihad attacks worldwide since 9/11 — each one committed by devout Muslims who often cited the Qur’an to explain and justify their actions — while there have been zero terror attacks by Jews or Christians who cited the Bible to explain their actions? If Ihram had been asked that question, she would doubtless have answered that it was because of Israeli “occupation” and the depredations of American foreign policy. 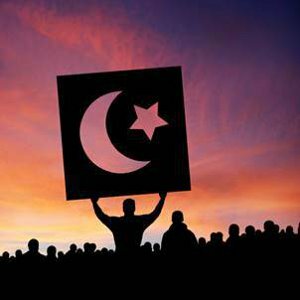 But The History of Jihad shows that Islamic jihad is a lot older than America and Israel, and is a constant of Islamic history everywhere Muslims have gone. Also, if the Arabic Qur’an is benign where the English translation is incendiary, why do Arabic-speaking Muslims engage in jihad activity? 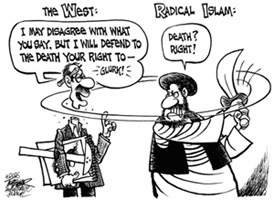 Why is Saudi Arabia, where Arabic is spoken, a leading sponsor of jihad terror? Why can’t translators of the Qur’an into English figure out a way to render its true, harmless meaning? 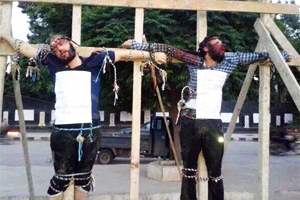 ISIS crucified Syrian citizens for speech. I’ve written all of this over and over again in response to the claims of so many deceivers. It has been over 17 years since 9/11. Islamic jihad groups are active all over the world. Yet the West remains so resolutely blinkered, so unwilling to see that there even is a problem. So these deceivers keep deceiving again and again, and no one challenges them. 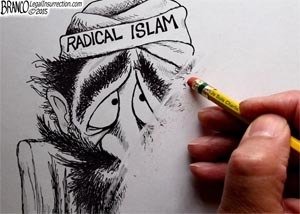 Probably on the last day of its operation, as Western countries are engulfed in civil wars between non-Muslims who don’t wish to live under Sharia and Muslims who believe they have a responsibility before Allah to make sure that they do, establishment media outlets will still be publishing stories about how the Qur’an is misunderstood on a massive scale. 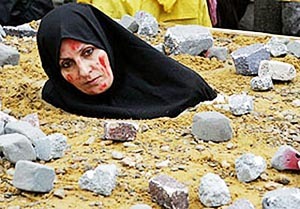 And on how Islam is really, deep down, a religion of peace. About the author: Robert Spencer is the director of Jihad Watch and author of the New York Times bestsellers The Politically Incorrect Guide to Islam (and the Crusades) and The Truth About Muhammad. His latest book is The Complete Infidel’s Guide to Iran. Follow him on Twitter and like him on Facebook. This entry was posted in National on February 10, 2019 by admin.